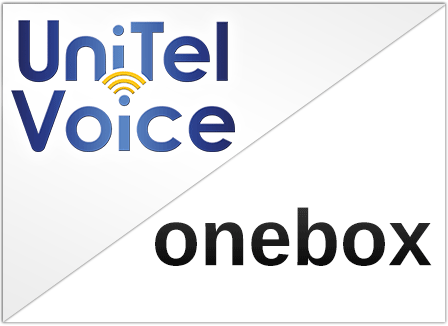 Update 2017: If you’re looking for Onebox Competitors, you’ve found one, UniTel Voice. When comparing the features of Onebox to UniTel Voice you’ll quickly see that the functionality and feature set offered is a competitive Onebox alternative. However, it may be hard to determine which is the best small business phone service based on features alone. You’ll also notice that UniTel Voice is priced for startup companies, allowing new small businesses to grow into larger plans, whereas Onebox offers larger plans with higher minutes – which may not be suitable for businesses just getting off the ground. And with UniTel Voice, all features including unlimited extensions and voicemails are included with every plan. However, the major difference between UniTel Voice and Onebox is customer service and support. UniTel Voice’s customer service is 100% USA-based and offers every account, large or small, individualized support via a personal setup sessions – the kind of VIP treatment other companies charge extra for. UniTel Voice offers low-cost plans priced and designed for growing companies of all sizes. There are no setup fees, no contracts, and no cancelation fees. You can upgrade or downgrade between plans at any time. You own your business phone numbers and can port them away to another phone service provider at any time. And UniTel Voice offers a 30-day money back guarantee. Within 30 days of using UniTel Voice, you’re not 100% satisfied with service or your plans change or whatever – we’ll refund your money. We have everything you need to run your business, sound professional and stay connected. Although most virtual phone system providers have similar features, UniTel Voice is a leader in design and ease of use. We are on our third version of our phone system platform and if you give it a test drive you’ll quickly see that we leave our competitors in the dust. UniTel Voice is large enough to offer an amazing phone system, at an outrageously low rate, but small enough to care about each customer account, big or small. Many of our competitors spend all their money on online advertising and have a model where a 100s of customers sign up each month and drop service shortly after that. Burn and churn is their business model. They focus on automation and advertising. UniTel Voice focuses on keeping customers. That’s why our customer service is staffed by humans based in Norther Illinois, USA. We offer general support and personal one-on-one setup sessions where an account manager will jump on the phone with you, log into your account, set things up for you, and make sure you are happy. We offer this level of support to every customer account no matter how big or how small.